Low noise & long service life. 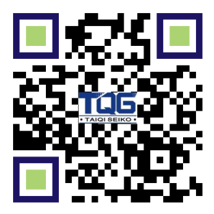 TQG ARA helical gear steering gearbox is featured with all-round installation, small size and light weight. The case of ARA series right angle gearbox is made of alloy aluminum and if the corrosion-resistant steel shaft is needed, please remark it. The TQG ARA series modular steering box possesses the outstanding features due to the adoption of scientific design scheme. It is an indispensable product in transmission equipment industries. 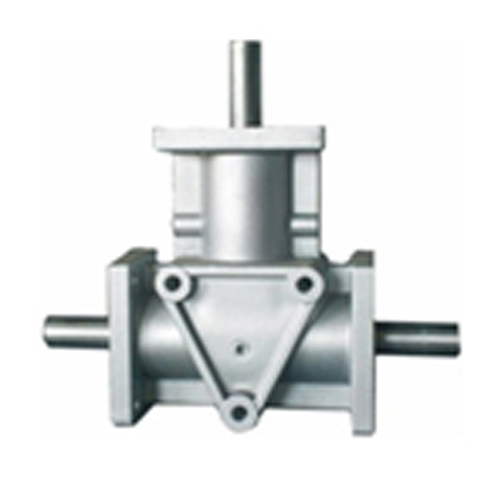 Taiqi ARA series right angle gearbox features of excellent performance, small size, light weight and heavy load. The solid shell is casting and made of good quality alloy aluminum. Besides, the ARA helical gearbox is featured with beautiful appearance, reasonable design and can make clockwise and counterclockwise rotation. The input and output method are multi-directional and output methods are various. What’s more, wide application range, large torque, low noise and long service life are the main advantages of TQG ARA steering gearbox and warmly welcomed by the users all over the world. And please also noted that the lubrication oil has been added before ex-factory. 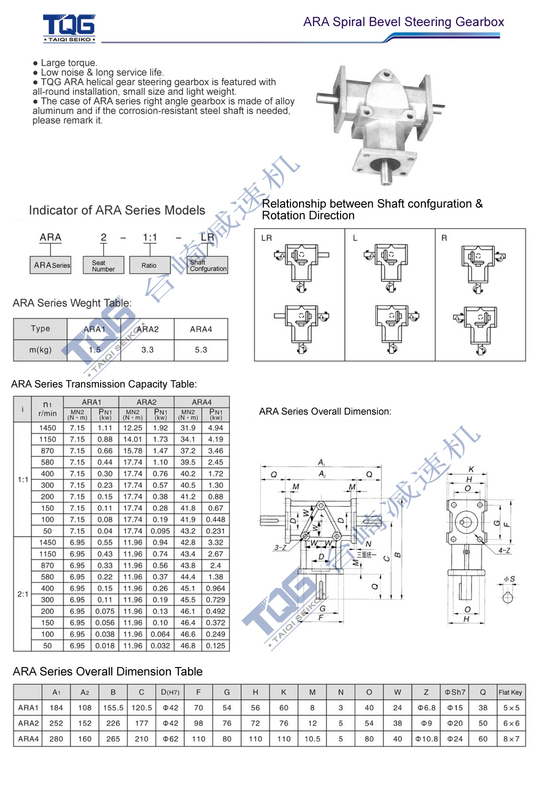 As for the technical parameter, the applicable motor power range of ARA steering gearbox is 0.018KW ~ 4.94KW , torque range is 6.95 ~ 46.8Nm and the transmission ratio is 1:1 and 2:1. Besides, concerning the lubrication oil , proper volume oil is good for improving the efficiency and service life of the TQG ARA steering gearbox . At the early stage ( about 100~200 hours or two weeks) of operation, friction consumption will be happened and there will be metal inside needed to be cleared and add proper volume of new lubrication oil. It is required to replace new lubrication oil after ARA steering gearbox runs for about half a year or one year or 1000~2000 hours.